EDGE, via its technology arm Pride Labs LLC, is the world's largest publisher of mobile products for the LGBT community, publishing hundreds of websites and native apps for iOS and Android on behalf of community partners, businesses and organizations. 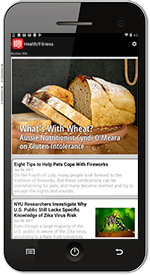 We also produce the world's most popular LGBT news mobile app. The EDGE Gay/Lesbian News Reader is a free app for your Apple iOS devices, featuring up-to-the-minute news, photography, giveaways, and more. The EDGE Gay/Lesbian News Reader is a free app for your Android devices, featuring up-to-the-minute news, photography, giveaways, and more. Time to break out the aluminum pole, prepare for the feats of strength and air all of your grievances. It's December 23rd and a "Festivus for the rest of us" is here.